Hi friends! I hope you are having a great day! We are tired today! Brady went back to school and we all had to wake up early to him there. Perhaps we should have signed up for afternoon preschool! :) I'm ready for a nap but the kids are not. wow what a stunning card ashley nicely done. This is GORGEOUS! 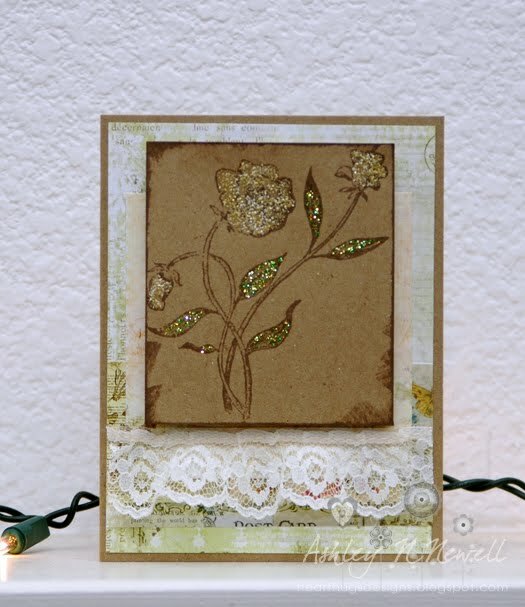 LOVE the stamps you used and all the sparkle! !